Three iconic buildings, the Lincoln American Tower, the Court Annex 2 building and the Lowenstein building comprise one of Memphis’ architectural landmarks, the Court Square Center. State Systems, Inc. engineered and installed Edwards EST fire alarm systems, which is manufactured by UTC fire security, for all three buildings. The Court Square Center represents three different architectural eras all on one block. 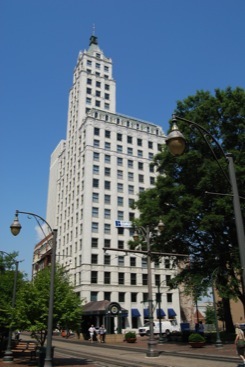 The Lincoln American Tower was built in 1924, and it is one of Memphis’ oldest steel frame skyscrapers. Today the building features apartments, commercial space and a gourmet grocery store. The Lowenstein building was built in 1886 as a department store, and today features apartments and retail space. Built in 2006, the Court Annex 2 apartment building has a modern design with a glass curtain wall overlooking the Court Square Park. If you need an Edwards EST fire alarm system installed for your building, call us or contact us online.